A fabulous motivating morning featuring 3 successful Business Women telling their success stories to an audience of business professionals and young women interested in continuing their education. Join us for networking, inspiration and fun! 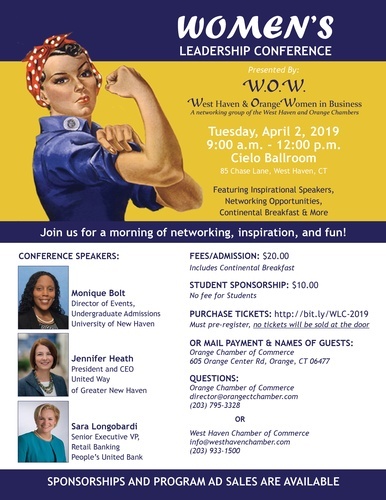 This year's speakers are: Jennifer Heath, President and CEO, United Way of Greater New Haven; Monique Bolt, Director of Events, Undergraduate Admissions, University of New Haven; and Sara M. Longobardi, Senior Executive VP, Retail Banking, People's United Bank. All proceeds go toward four scholarships awarded to 2 high school seniors from West Haven and 2 from Orange. Payment required in advance, no tickets will be sold at the door! 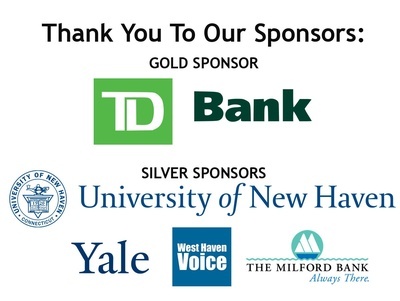 Sponsorships and program ad sales are available!